Hillary Clinton spoke during the Democratic presidential primary debate at St. Anselm College in Manchester, N.H.
Coverage of the Saturday night Democratic debate has focused on Bernie Sanders’ apology to Hillary Clinton for his staff’s poor judgment in viewing her campaign’s proprietary data. But Clinton issued a “sorry’’ of her own — although for a far less serious matter. 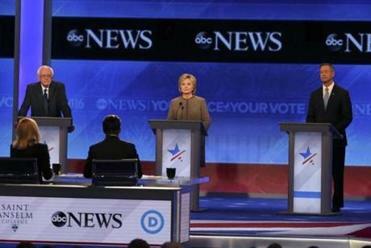 Clinton apologized to a live television audience for returning late from the ladies’ room after the break. The reason is one many women are familiar with: An unexpected line for the loo. While Clinton waited for the ladies’ room to clear out, time ticked down, and the debate organizers allowed the show to go on without her. What viewers didn’t know was the sole women’s bathroom was a little further than the men’s room from the stage. And when the debate went to a long commercial break Clinton lost out to Lis Smith, the caffeine-guzzling deputy campaign manager for former Maryland Governor Martin O’Malley, who beat her to the restroom. Smith declined to comment for the story. A top Clinton staffer who was strategically posted outside the bathroom (presumably to avoid these kinds of situations) gave Smith a verbal OK to make a quick pit stop, according to one person familiar with the ladies’ line. Little happened to alter the trajectory of the Democratic contest, but there were memorable moments. The women’s room included multiple stalls, so it’s not entirely clear why Clinton and Smith couldn’t both use the facilities. Clinton spokesman Nick Merrill declined to comment for the story, but said there wasn’t a security reason preventing the former secretary of state from sharing a bathroom. Nevertheless, the hold up contributed to Clinton failing to make it back to the stage on time. 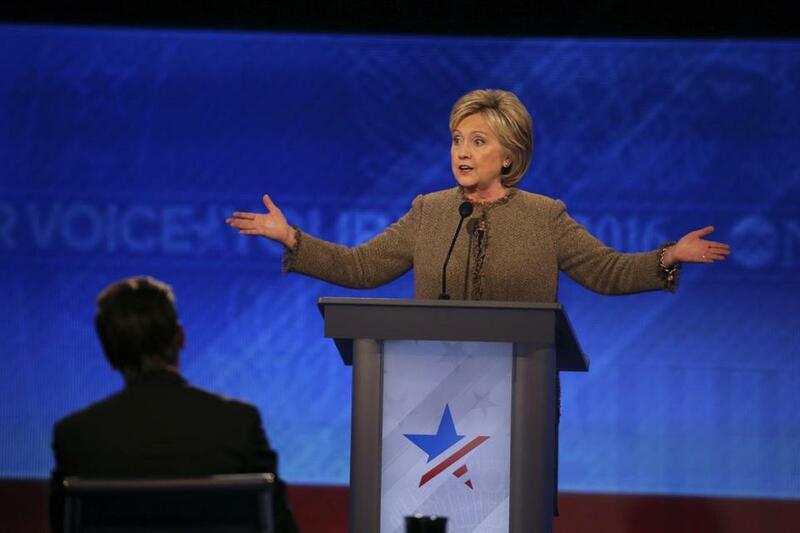 When Clinton finally returned, moderator David Muir was already asking another candidate a question. But the audience applauded as the front-runner walked up to her erstwhile empty podium.